The severity of the impact of a breakup depends not only on the nature of the relationship, but also on the personality and emotional history of the person in question. However, males and females have dramatically different characteristic responses to this difficult situation. Some typically male responses indicate the effects of a breakup on male behavior and the male psyche. A difficult breakup leads some men to escapism and denial. The pain of a failed relationship often triggers an escapist impulse in men, leading them to seek out a good time and hide their unhappiness, particularly from their new ex. 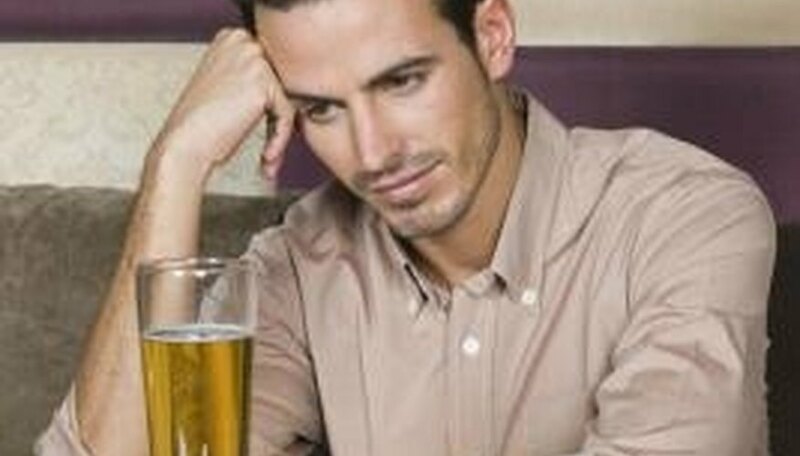 In one survey, 26 percent of men recommended going out and getting drunk with male friends after a breakup as a mechanism. This indicates that one immediate effect of a breakup is an immediate stage of outward denial and an emotional hardening. Research also suggests that many men suffer a loss in emotional well-being when they no longer have a romantic partner with whom to share intimate feelings. In contrast to women, who typically cultivate many outlets for emotional expression among female friends and family members, males tend to rely more heavily on a female partner as a source. The unfortunate result is a bottling of emotions following the end of a meaningful relationship. Breakups often have the effect of awakening a renewed excitement in men over the prospect of having new women in their lives. This idealism over future prospects may lead a man to rush into the dating world and eagerly pursue new interests. However, this enthusiasm sometimes leads into a period of frustration and disillusionment, as a man recognizes how much time and effort it will take to be as comfortable with a new partner as he was with the recent ex. While aggressive and jealous behavior is by no means a universal effect of breakups, some males do respond to this difficult situation by adopting a belligerent attitude. Some psychologists posit that this aggressive role is an adaptive male evolutionary trait that is tempered by modern societal norms, but which may still emerge as a genetic component of a man's nature. In particular, males who still have strong feelings for an ex or harbor hopes of repairing the relationship will exhibit possessive behavior. They may allow jealousy over a woman's new love interest to eclipse their normal judgment and lead them into verbal or physical confrontations. Lichtenstein, Drew. "The Effects of a Breakup on Males." Dating Tips - Match.com, https://datingtips.match.com/effects-breakup-males-8133500.html. Accessed 24 April 2019.